Jones Gap State Park is located in northern Greenville County, near Marietta, SC. The 3,964-acre (1,604 ha) park, which includes the headwaters of the Middle Saluda River, is, with Caesars Head State Park, administered by the state Department of Parks, Recreation, and Tourism as part of the Mountain Bridge Wilderness. 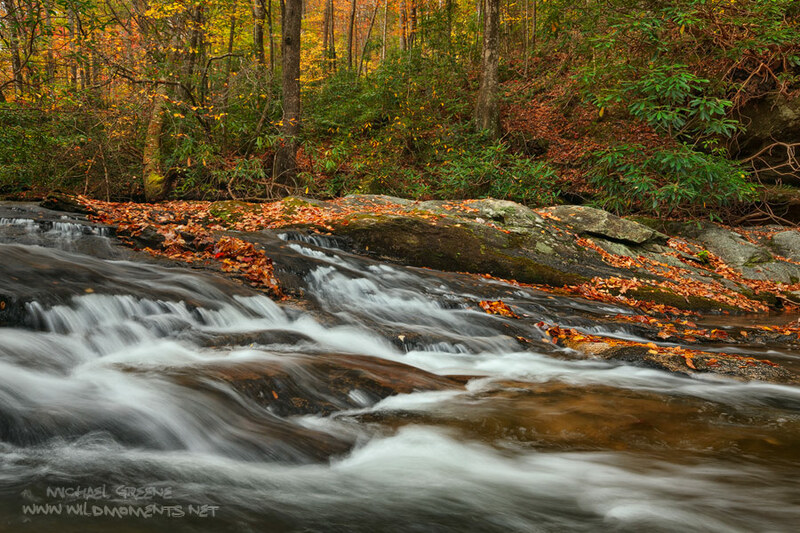 This image of a large slick rock cascade was captured during peak autumn colors. Photo © copyright by Michael Greene.